Whether personal or professional factors influenced your decision to relocate, it’s important to choose a reputable and reliable professional moving company. When you’re moving from NJ to Oklahoma, you want the experienced experts at Simonik Moving & Storage. Since 1977, we’ve been committed to providing quality services and 100% customer satisfaction. Our dedication to excellence has earned us accreditation with the BBB. 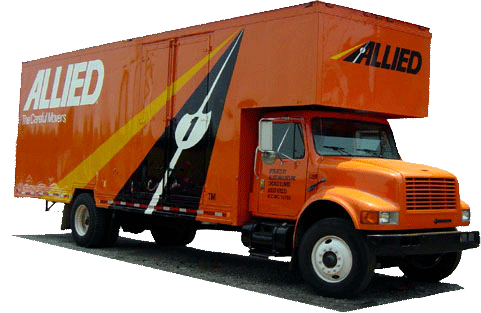 We’re also proud to be an award-winning agent of Allied Van Lines and part of a nationwide network of moving and storage experts that can relocate your household anywhere in the United States. If you find that your Oklahoma home isn’t ready to receive your items, just give us a call! We’ll arrange for secure, affordable storage for as long as it takes you to complete your move from New Jersey to Oklahoma. We will pack your household belongings in containers specially made for long distance relocations, then store your container for as much time as you need us to in our secure, alarm-protected storage facilities. When you’re ready to retrieve your items, give us a call and we’ll schedule a prompt pickup or delivery. We’re proud to serve households throughout North and Central Jersey, including Hunterdon, Mercer, Middlesex, Monmouth, Morris, and Somerset counties. Our quality service has been recognized by the New Jersey Warehousemen & Movers Association with the award of “Mover of the Year,” and we’re also proud to be a ProMover with the American Moving & Storage Associations. Our professional affiliations ensure we keep current on the latest techniques and requirements for long distance relocations, enabling us to offer the best service possible to move you from NJ to Oklahoma. Get started on the easiest move of your life by getting in touch with the NJ to Oklahoma moving professionals at Simonik Moving & Storage. We’d love to provide you with additional information, so give us a call or request a free, no-obligation estimate of moving costs by taking a moment to complete our online quote form.